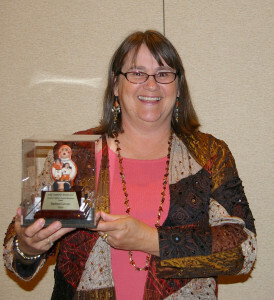 In 2000, Barbara’s husband came home from a conference and announced that he found a new job for her – writing a kid’s book. It’s not everyday that opportunities like this come along so she transitioned from selling children’s books to writing them. Her experience as a Discovery Toys Sales Director helped in the promotion of her new business – Learning With Little Folks. 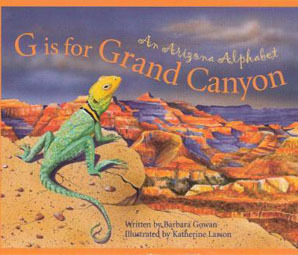 G is for Grand Canyon – an Arizona Alphabet hit the bookstores in 2002 and was soon named a Southwest Children’s Book of the Year. Barbara was named an Outstanding Arizona Author in 2010 and received the Libraries Ltd./Judy Goddard award for G is for Grand Canyon. 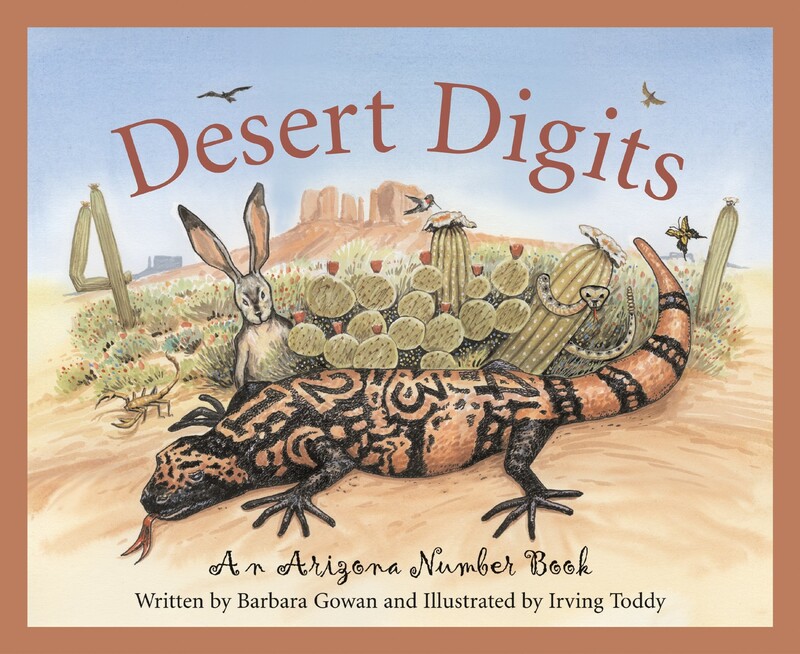 1 shy Gila monster, 2 two-tailed swallowtails, 3 peaks In Desert Digits, numbers introduce Arizona’s natural history to the reader using rhyme, expository text and illustrations by Navajo artist Irving Toddy. 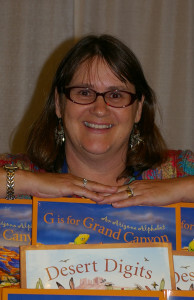 The book was nominated for the Grand Canyon Reader Award in 2006. 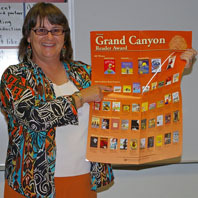 The Grand Canyon Reader Award is the kid’s choice award for Arizona. Kids nominate, read, and vote on their favorite. 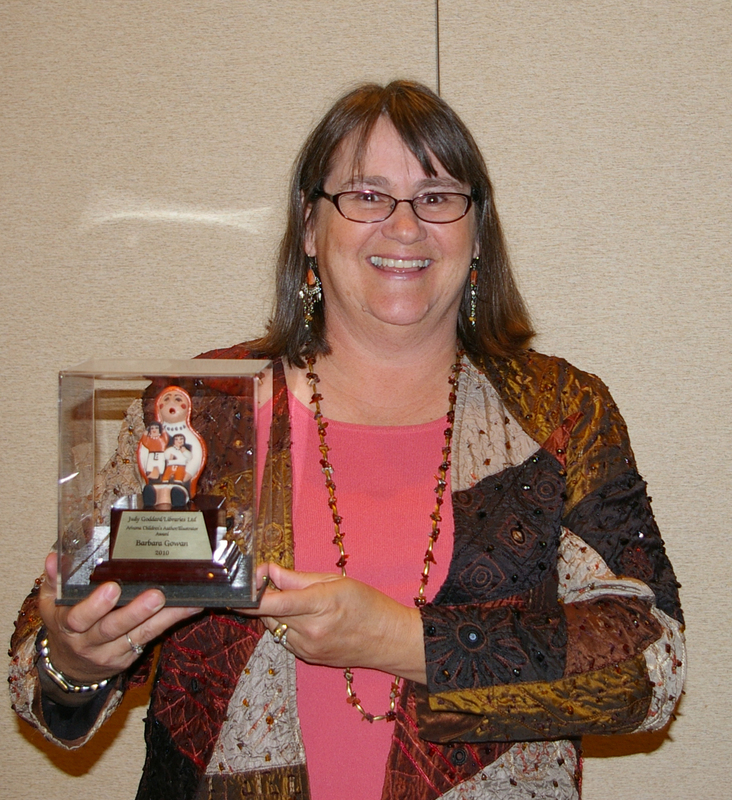 Learn more about this prestigious award at http://www.GrandCanyonReaderAward.org. 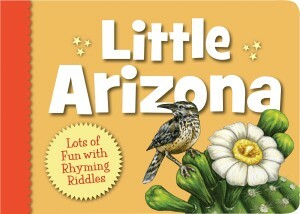 To celebrate the state’s centennial, Little Arizona was published in 2012. 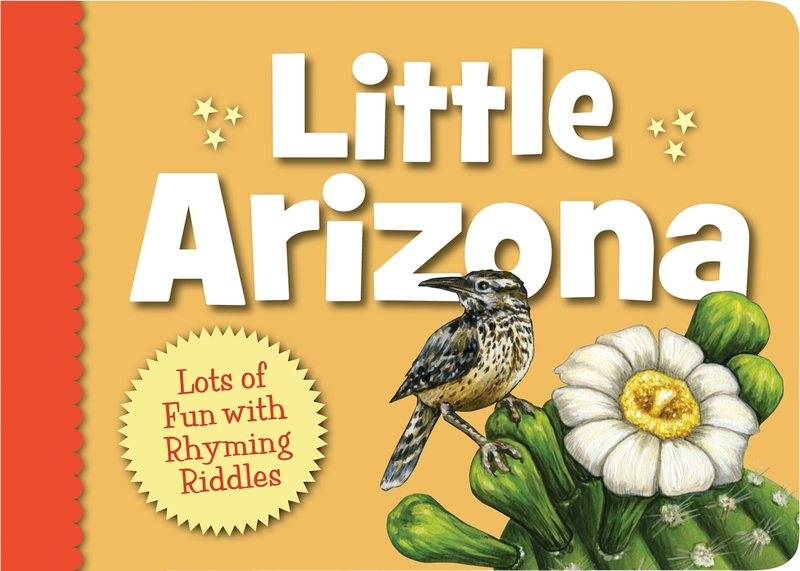 The rhyming riddles are fun for little ones. But don’t think this board book is just for toddlers! 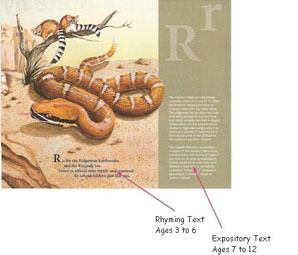 The rhyming riddles are a great mentor text for writing in the elementary classroom. 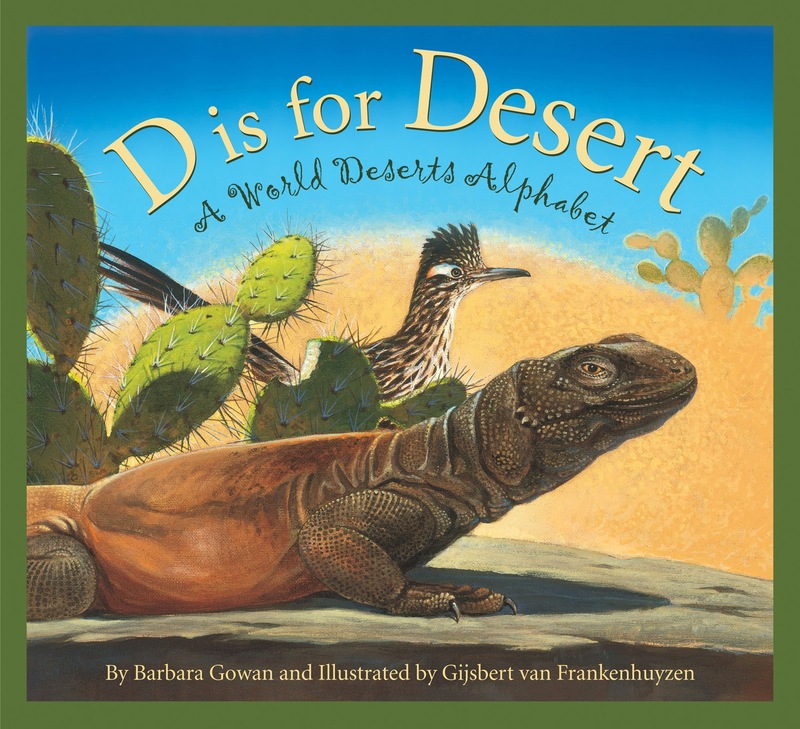 I dedicated D is for Desert – a World Desert Alphabet to my botany professor at Notre Dame and I hope he’s proud to learn that his student’s work was named an Outstanding Science Trade Book in 2013. The first draft was researched and written in just 25 days. The alphabet is an organizational tool for science and social studies concepts about the desert biome. Did you know that there are polar deserts? Or that a sea of sand is called an erg? You will after reading this book. 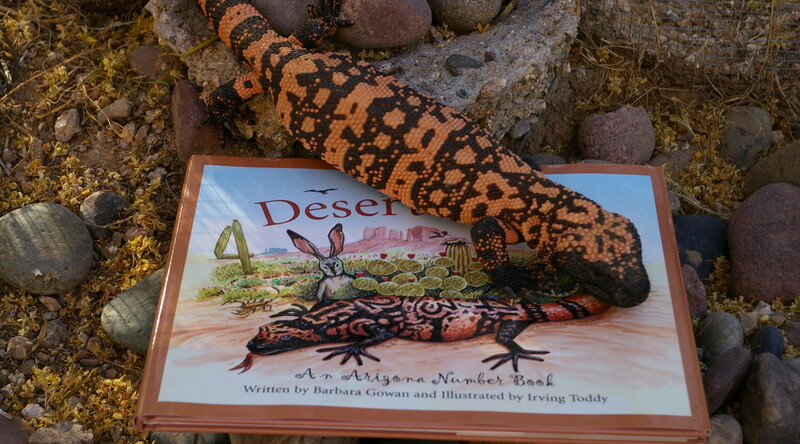 D is for Desert is a 2015 nominee for the Grand Canyon Reader Award in the nonfiction category. 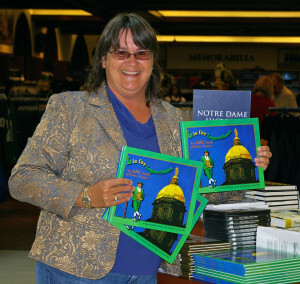 L is for Leprechaun – the Notre Dame ABC was written and published by my company, Learning With Little Folks, in 2008. I was responsible for all aspects of the book from research and writing to hiring an illustrator to printing and marketing. It is an officially licensed product of the University. 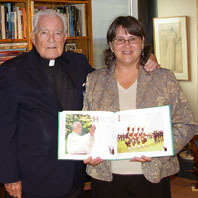 A donation is made to the Hesburgh Library for each book sold. Research for L is for Leprechaun included a look in my college scrapbooks, interviewing alumni, and a visit to the ND Archives. My rector from freshman year, Jane Pitz, shared her artistic talent and created the art for the book. 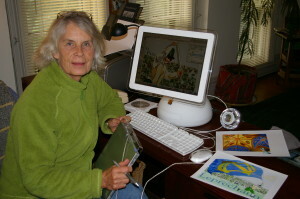 She digitized photographs. Look for my daughters, Meghan and Kaitlin, on pages A, G and W.
And this is what I wrote for the letter H – H is for Theodore M. Hesburgh, CSC – a scholar, leader, and priest, president emeritus, and activist for civil rights and world peace. 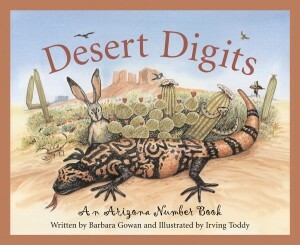 The books are available at amazon.com or through my square shop. Contact me (bgowan54@cox.net) to purchase. R is for Rosary – A Catholic Family Alphabet is at the publisher’s right now with a summer release expected. Stay tuned for more details!